You may not know that just like the fashion industry, the wine and spirits industry has trends, fads and classics that will never go out of style. They also have up and coming brands that are akin to a budding new fashion designer that is on the brink of blowing up all over the United States. 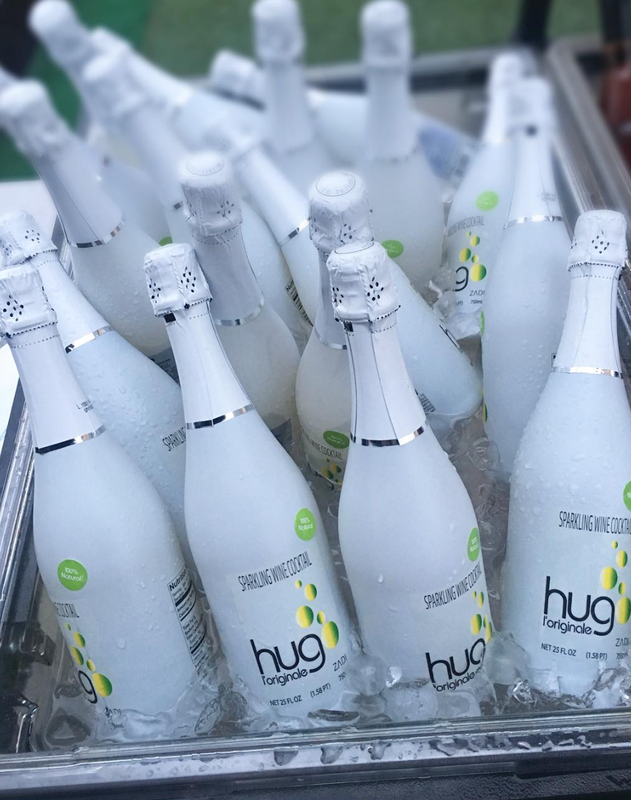 For 2018 that budding brand would have to be Hug Wine. Many times a fashion designer that is on verge of being the next new thing in American Fashion has already made it big in Europe. 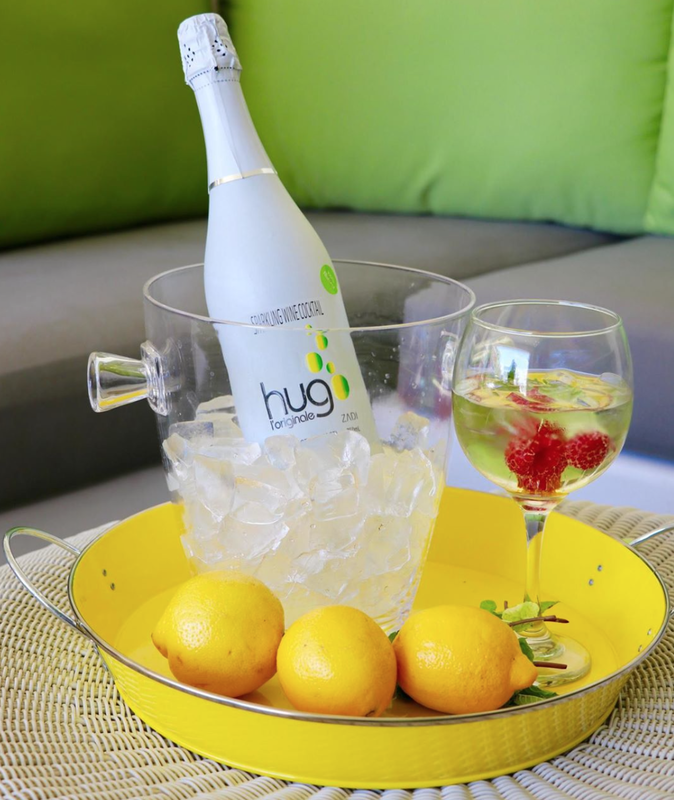 This is the case with Hug Wine as it has sold over 7 Million bottles in Europe. 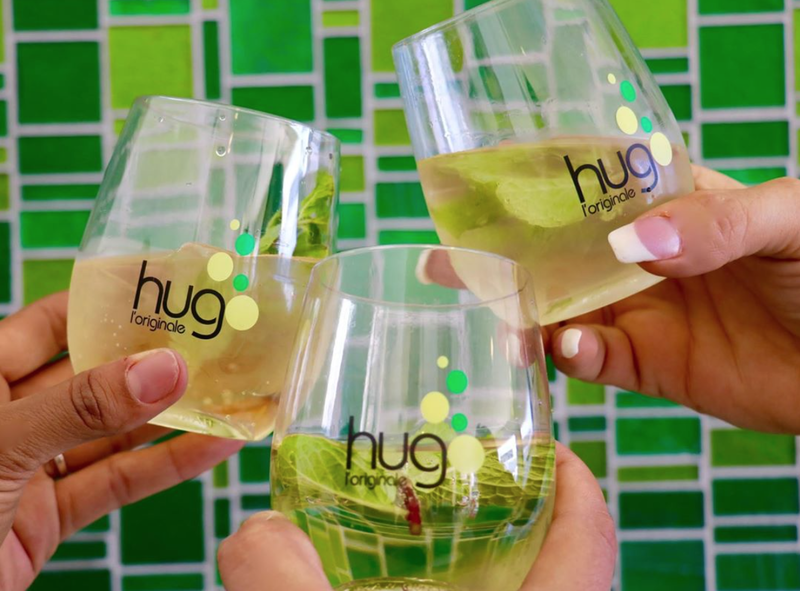 Hug is the ready to pour version of a popular cocktail in Italy and Germany called "Hugo," which is a version of a white wine spritzer with Elderflower syrup that is garnished with mint. So how is Hug Wine making it's way into the glasses and hands of the in the know crowd in the USA? Well for starters, it is thriving in a place with some of the best bartenders in the United States work and play, Las Vegas, Nevada. The story goes that Robin Leach (if anyone knows what's fabulous it would be the former Life Styles of the Rich and Famous host) connected the brand with a distributor and the rest is history! "Hug was launched exclusively in Las Vegas in January of this year." Josie Razook, Co-owner of Hug International tells Orange Juice and Biscuits. "It is currently available at the Wynn, the Encore, the Bellagio, J.W. Marriot as well as Smith's, Albertsons, Glazier's Market and Lee's." 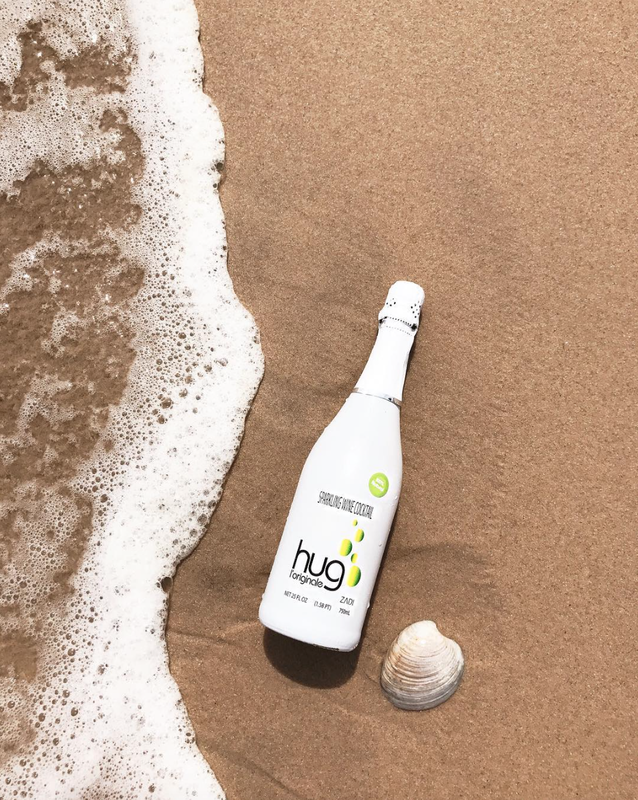 In July I had the chance to taste Hug Wine in the Hamptons when one of my best friends Sabrina Champan, co-owner of Invitation Media Group (the official PR Firm that reps Hug) brought out a bottle for an exclusive private tasting. It was really cool to be the only people sipping on something that was not available yet on the East Coast. It was served chilled with fresh berries creating the perfect summer drink! "At 5.9% alcohol content Hug is the perfect drink to sip when you want a cocktail that is not so alcoholic," Razook states. "It also plays well with others, meaning you can add vodka or rum if you want a little more of a kick and it also makes a great base for a sangria." Josie also tells OJ&B exclusively that Hug plans to expand to the East Coast by the Summer of 2018. "We are rolling it out in California now and will go across the United States heading to Texas, Florida and New York." I have a feeling that once it reaches the East Coast you will be seeing Hug at the hottest parties in NYC and the Hamptons! Stay tuned to OJ&B for more information on Hug, especially as it gets to the East Coast. For now, remember to pick up a bottle of Hug at Liquor Library when your girls trip lands in Vegas to see Britney before her residency ends at the end of the year, or for whatever reason brings you to Sin City! See you on the beach next summer with Hug in hand! For more information on Hug click here or find them on Instagram by clicking here.